Aquamarine has long been the birthstone of the month of March. Aquamarine is a beautiful stone that ranges from a very pale blue to a brilliant teal. Because of it's beautiful, water-like coloring, the name Aquamarine was derived from the Latin words for 'water' and 'sea'. The Aquamarine is a very durable stone, which according to the Mohs Scale, ranks in at about an eight out of ten for it's hardness factor. Because of it's durability and beauty, the Aquamarine has become a very popular stone to be featured in jewelry and other adornments. 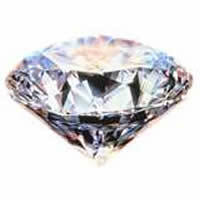 Like all other stones, Aquamarines vary in price, due to their quality, clarity, cut, color, and size. Popular ancient myths regard the Aquamarine as a stone possessing powers to keep sailors safe during their travels. These stones were said to have emerged from valued treasure chests belonging to the beautiful mermaids of the ocean. This myth, while far-fetched, results from the sea-like coloring of the Aquamarine stone. Throughout the middle ages, gemstones were said to hold images of the cosmos. Because of the Aquamarine's similar coloring to the plant, it was said to reflect the image of Neptune. This was done to encourage consumers to purchase Aquamarines due to their special and unique properties; and was an early example of deceptive, yet fruitful marketing tactics. As reported by ancient healers, the Aquamarine is also said to possess healing properties. When held to the skin, these gems are reported to help improve arthritis, cure sore throats, help relive inflammation, and minimize varicose veins. The easiest way to enjoy the healing properties of these stones is to wear the Aquamarine on a chain, so that it is in constant or frequent contact with the affected areas. Currently, Aquamarines are said to bring happiness, intelligence, and for sight to the wearer. Aquamarines are also said to help to cultivate and maintain youth and vitality. Whether Aquamarines actually possess these properties, they add interest and a bit of fun to the meaning of the stone. The Aquamarine is formed in a number of places. The most common places Aquamarines are formed are granite pegmatites, yet they can also be formed in miarolitic cavities within granite, and hydrothermal carbonate greise and veins. Once Aquamarines have been gathered, they are usually heated to help the stone develop it's color. Pale or green stones are heated to approximately 750 degrees Fahrenheit to produce a deeper, more blue or blue-green color. 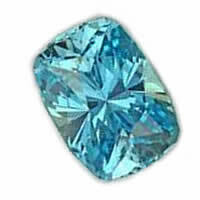 The Aquamarine is part of the Beryl mineral class. Stones in the Beryl class range from blue to green, with Emeralds, Morganite, and Heliodor also belonging to this class. The chemical composition of the Aquamarine stone is Be3Al2SiO6. Aquamarine is produced in a number of countries. These countries include Russia, Nigeria, Angola, Namibia, Kenya, Mozambique, Zambia, Pakistan, Myanumar, Madagascar, Brazil, and the United States, mainly in California and Colorado. Currently, the largest producer of Aquamarines is Brazil. 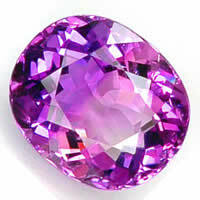 However, some of the most exquisite and valuable stones are currently produced in Madagascar. These stones are not only beautiful, but are proving themselves to be an important commodity to the trade and economy of a large number of countries.